Ranji Trophy 2018-19: Wasim Jaffer also broke the record for most number of appearances by a player in Ranji Trophy. He went past the previous record-holder Devendra Bundela of Madhya Pradesh who had 145 matches to his name. Jaffer played his 146th match during Vidarbha's last league game against Saurashtra in Rajkot. Ranji Trophy 2018-19: Vidarbha defeated Saurashtra by 78 runs on Thursday to win the 2018-19 Ranji Trophy at the VCA Stadium in Nagpur. Spinner Aditya Sarwate was instrumental in Vidarbha’s successful title defence as he bagged 11 wickets. However, one man who stole the limelight away from everybody was Ranji veteran and Vidarbha batsman Wasim Jaffer. The 40-year-old batting icon has featured in 10 Ranji finals and after guiding Vidarbha to victory, he maintained his perfect record by winning his 10th Ranji Trophy. No batsmen in Indian domestic cricket has ever achieved this feat. In yet another achievement, Jaffer became the first player in Ranji’s 85-year old history to amass 1000-plus runs in two seasons. In the 2008-09 season, he played 10 matches from Mumbai scoring 1,260 runs at an impressive average of 84. He struck 4 tons and 5 half-centuries. In the 2018-19 season, he played 11 matches from Vidarbha scoring 1037 matches at an average of almost 70. 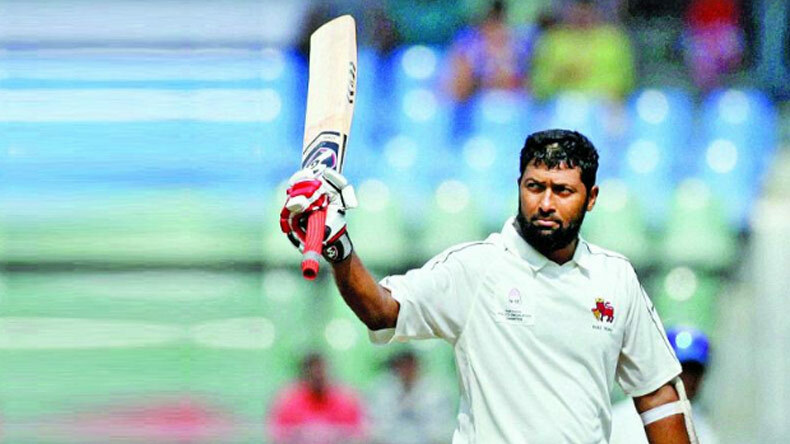 Wasim Jaffer also broke the record for most number of appearances by a player in Ranji Trophy. He went past the previous record-holder Devendra Bundela of Madhya Pradesh who had 145 matches to his name. Jaffer played his 146th match during Vidarbha’s last league game against Saurashtra in Rajkot. Before that, the stylish Indian batter became the first player in the history of Ranji to cross the 11,000-run milestone. In total, Wasim Jaffer has now played 253 First Class matches having scored 19,147 runs at an average of 51.19. He has struck a whopping 57 centuries and 88 half-centuries in his career.